Half of the Americans surveyed in a new poll agree that the U.S. president is the victim of a “witch hunt” in relation to the special counsel investigation into Russian election interference. The latest USA TODAY/Suffolk University Poll reveals that public trust surrounding Robert Mueller’s ongoing probe into President Donald Trump’s alleged involvement in suspected Russian government attempts to influence the outcome of the 2016 presidential election is falling. 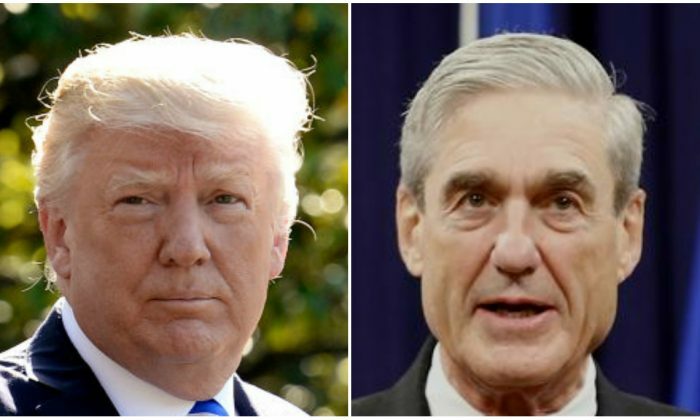 The poll, which asked 1,000 registered voters about their views on the investigation, found half of the pollsters agreed that the Mueller investigation is a “witch hunt,” echoing Trump’s consistent claims of being investigated for political reasons instead of credible allegations of wrongdoing. Only 47 percent disagreed and 3 percent did not have an opinion. There are still clear partisan divisions over the question, with 86 percent of Republicans and 14 percent of Democrats agreeing that Trump is the victim of a “witch hunt.” Among independents, 54 percent echo this view. Trump welcomed the poll result in a tweet and seemed to suggest that more details are expected to be revealed in the near future. Wow! A Suffolk/USA Today Poll, just out, states, “50 percent of Americans agree that Robert Mueller’s investigation is a Witch Hunt.” @MSNBC Very few think it is legit! We will soon find out? Suffolk Political Research Center Director David Paleologos believes the shift in public sentiment is thanks to Trump’s very persuasive communication skills. “Even among people who said they had ‘some’ trust in the Mueller investigation, half agreed with President Trump’s witch hunt allegation,” he told USA TODAY. Many people who were surveyed are convinced that Trump’s allegations that he is being targeted are true. “Trump, he gets badgered every single day,” said Republican Robert Lynch, 62, of Selden, New York. Lynch says that Mueller’s report will “say no collusion, absolutely none.” Mueller has not brought any charges of collusion. It has, however, resulted in indictments for dozens of Russian nationals and companies as well as a number of former Trump associates. The highest percentage of respondents to date believe Trump’s denials are highly credible, at 30 percent, while support for the House of Representatives to consider impeaching the president is dwindling by 10 percentage points to just 28 percent, compared to that in October 2018. This downward trend could be explained by House Speaker Nancy Pelosi’s (D-Calif.) recent remark that any attempt to remove Trump from office will not be worthwhile and even further divide the nation. Pelosi’s comments against impeachment influenced the opinion of 41 percent of Democrats compared to 42 percent who said her comments had no impact. The president accused the Democrats of trying to use impeachment to “steal” the U.S. presidency away from him. “What the Democrats have done in trying to steal a presidential election, first at the ‘ballot box’ and then, after that failed, with the ‘Insurance Policy,’ is the biggest scandal in the history of our country,” Trump said in a Twitter post. The survey also shows the nation is almost evenly divided on Trump’s honesty and leadership style, with 52 percent saying they either do not trust or have little trust in the president’s denials that his campaign colluded with Moscow to win the election. This figure is 5 percentage points lower than it was in 2018, suggesting that more people now are believing the president. Only 28 percent of people surveyed still highly trust that former Federal Bureau of Investigation (FBI) Director Mueller’s investigation has been conducted fairly and accurately, down 5 points since December and representing the lowest level to-date. As part of the investigation, Mueller also took over several other existing FBI investigations, including those into former National Security Advisor Michael Flynn and former Trump Campaign Manager Paul Manafort. Manafort was recently sentenced to a total of 7.5 years in federal prison for financial crimes unrelated to the Russian interference investigation. Mueller is due to deliver his final report to Attorney General Bill Barr shortly.